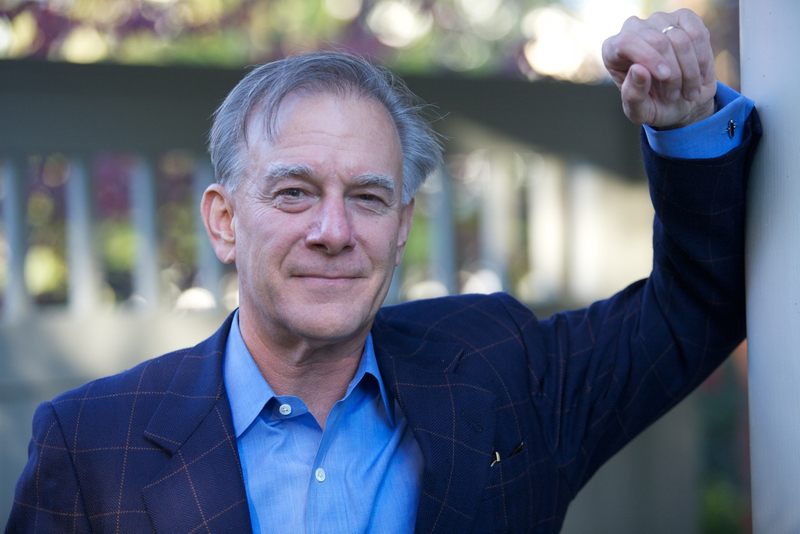 Washington Post foreign affairs columnist David Ignatius will be the inaugural speaker in an annual address honoring slain journalist Jamal Khashoggi, a 1983 alumnus of Indiana State University. Ignatius' talk "How to fix the world: The future of foreign policy" is set for 7 p.m. April 2 in Tilson Auditorium on the Indiana State campus. The event is free and open to the public. Ignatius is the inaugural speaker for the Jamal Khashoggi Annual Address on Journalism and the Media. The annual tribute to Khashoggi is part of the ISU Speakers Series and seeks to examine current and critical issues related to journalism, the first amendment and freedom of the press. Invited speakers will include prominent journalists, authors, filmmakers, photojournalists or other professionals working in the media. "Jamal represented the dream that many millions of Arabs have for a more open society and a journalism that tells the truth," Ignatius said. "I admired Jamal as a friend and colleague most of all because he understood the dangers of championing this cause -- the very real threats to his family and himself -- and kept on doing what he thought was the right thing. There's no greater honor for a journalist right now than to be associated with the values that Jamal courageously represented." Khashoggi attended Indiana State as an undergraduate from 1977 to 1982 and was conferred a business administration degree on May 7, 1983. A critic of the Saudi government, he was assassinated in early October 2018 after visiting the Saudi embassy in Turkey to obtain marriage documents. His death prompted an international outcry. Ignatius -- a Washington Post foreign affairs columnist, bestselling author and NBC analyst -- has been making sense of the world for more than 40 years. He's covered nearly every Washington beat, from the Pentagon to the CIA to Capitol Hill, as well as global politics, the Middle East and economics. He turned his experiences with the CIA into 10 spy novels, because, as it has been said, "Few understand espionage culture as well as Ignatius." For more than 15 years, Ignatius has published his twice-weekly column for The Washington Post. Appearing in scores of newspapers around the world, his column won the Overseas Press Club Award, the Gerald Loeb Award for Commentary and a Lifetime Achievement Award from the International Center for Journalists. His new high-tech spy thriller is "The Quantum Spy." "David Ignatius may call it a novel, but for those of us who know the work of the intelligence community, this book is nothing less than a real-life insight into the ongoing battle for dominance in the digital world," said former CIA Director Leon Panetta. "Agents of Innocence," his first novel, is a classic of espionage fiction, drawing on his experiences covering the CIA's early-80s campaigns in the Middle East. The CIA recommends the book to young recruits and wrote on its website, "Though a novel, senior officers say this book is not fiction." In its review of Ignatius' New York Times bestseller "The Director," Kirkus raved, "His unparalleled understanding of the intelligence world propels his work so far above others who dabble in the field that there's little comparison." Director Ridley Scott adapted his 2007 bestseller, "Body of Lies," into a feature film starring Leonardo DiCaprio and Russell Crowe. His other books include "Bloodmoney," "A Firing Offense" and "The Sun King." The film rights to his novel, "The Increment," were acquired by Jerry Bruckheimer. A graduate of Harvard and Cambridge, he was a reporter for The Wall Street Journal and the executive editor of the International Herald Tribune. He has published articles in Foreign Affairs, The New York Times Magazine, The Atlantic and The New Republic. His first opera libretto, an adaptation of Machiavelli's "The Prince" entitled "The New Prince," premiered at the Dutch National Opera in March 2017. A regular guest on "Morning Joe," Ignatius has been interviewed on "Face the Nation," "Fareed Zakaria GPS" and "Meet the Press." David Ignatius is the inaugural speaker for the Jamal Khashoggi Annual Address on Journalism and the Media. The annual tribute to the late ISU alumnus is part of the ISU Speakers Series.